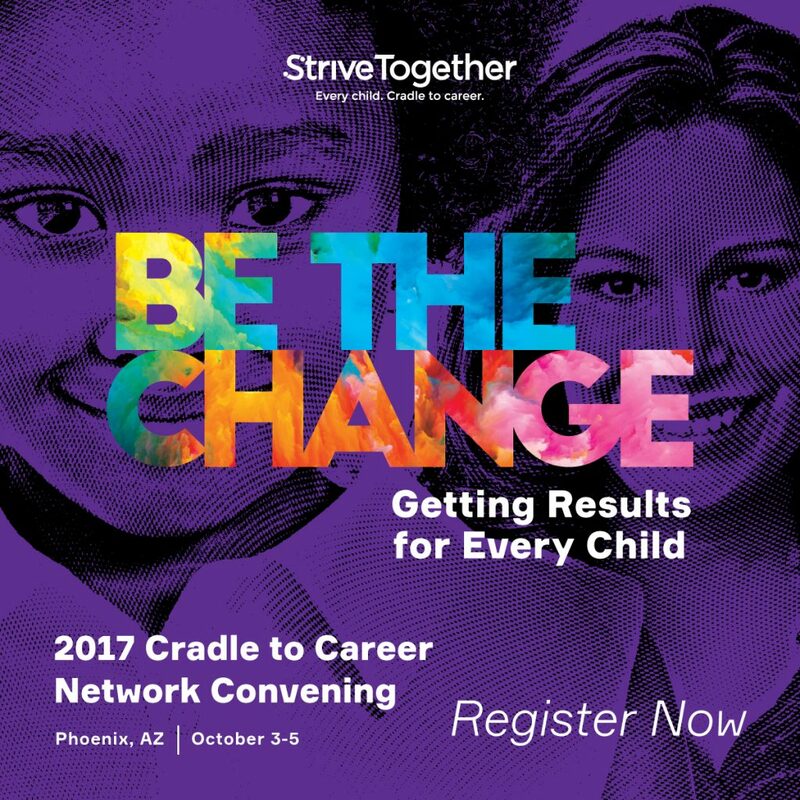 Registration has now closed for the 2017 Cradle to Career Network Convening. The theme this year is Be the Change: Getting Results for Every Child. Join Cradle to Career Network communities from across the country that are working to improve educational outcomes to create systems change in their communities. Come learn, share and network with others doing like work and facing similar challenges. Leave with concrete ideas and tools on how to move this work further faster in your community. Preview the full agenda here. Where: The event will be held at the Hyatt Regency in Phoenix, AZ. Rooms will be blocked at the hotel for attendees. Who Should Attend: We plan to make this event our most innovative and advanced Convening to date! We’re committed to featuring rock star content aimed at the adaptive challenges you face around improving outcomes, changing systems and eliminating disparities. We encourage you to bring a diverse team including partnership staff, leadership council members, community partners and investors. We hope that you will come with partners that have not attended in the past — and also those that have! Why You Should Attend: This is StriveTogether’s largest event of the year, with over 400 people annually. We will offer content that is relevant and valuable to each group in attendance. We also may reach out to you for feedback on what types of content make sense for different groups! Members of the Cradle to Career Network who have completed the Civic Infrastructure Assessment and paid Network membership dues are eligible to attend. Questions? Contact Eleni Towner, senior manager of network experience, at townere@strivetogether.org.